EDIT: There were some bugs with the hull and a little shading mishap on the spoiler, all fixed now. :) Please re-download! 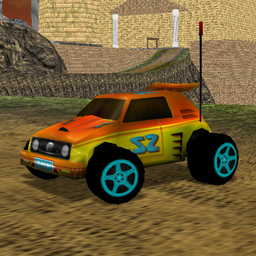 A remodel of R6 Turbo based in one of Paul Phippen's original concepts (lib14a.bmp) from the Dreamcast version of Re-Volt gallery.